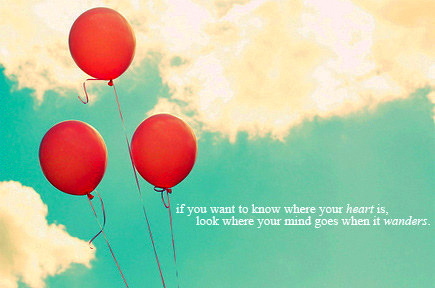 "If you want to know where your heart is, look where your mind goes when it wanders." I spend a lot time self-reflecting and day dreaming. When I let my mind wander, I think about my dream life. Not that I don't appreciate the one that I have...it's more about where I want my life to be. Obviously, if I'm dreaming about a journey I'm not there yet. My dream helps motivate me to learn how to get there. I believe that dreams offer us magic to create our own destinies.